TECNOMECCANICA S.P.A. PRODUCE UNA VASTA GAMMA DI BOCCOLE RULLATE CILINDRICHE E OVALI OTTENUTE GENERALMENTE DA PIATTINA DI ACCIAIO DOLCE. IL TAGLIO LONGITUDINALE DELLE BOCCOLE CONFERISCE ELASTICITÀ AL PRODOTTO E LO RENDE IDEALE PER L’INSERIMENTO IN CORPI PLASTICI CON LA FUNZIONE DI RINFORZO AD ESEMPIO DURANTE IL SERRAGGIO DELLA VITE. 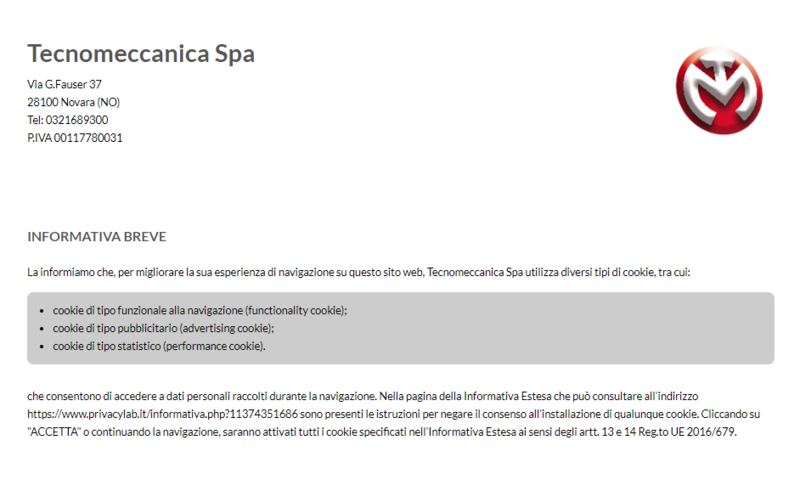 LE BOCCOLE VENGONO FORNITE CON TRATTAMENTI SUPERFICIALI SECONDO LA RICHIESTA DEL CLIENTE. LE MACCHINE TRANCIA-PIEGATRICI BIHLER PERMETTONO DI OTTENERE PRODOTTI DI PRECISIONE DALLE SAGOME PIÙ SVARIATE GRAZIE ALL’ABBINAMENTO DI STAMPI DI TRANCIA E DEL SISTEMA DI PIEGATURA MECCANICO.